The poster is still in the original shipping tube and has only been taken out once a year (just to show it off ). E-mail me and we'll haggle over it, but ONLY if you are serious!!! It came already signed, but not numbered. 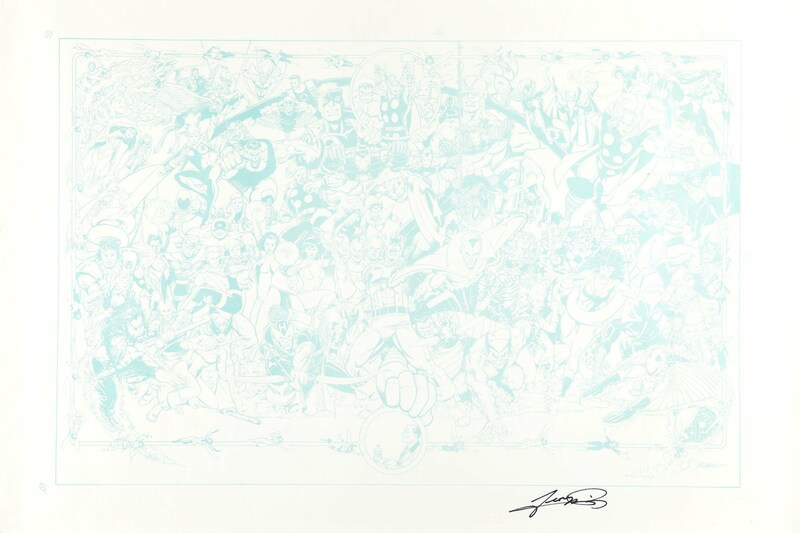 The label on the tube reads "The Avengers signed limited edition poster by George Perez". I guess I should have made that clear (this is the first time I have tried to sell anything on the 'net, be gentle ). This was one of those "Marvel Limited" projects that they did in the early 90's. It came out about the same year as the HULK:FUTURE IMPERFECT hardcover, if I recall correctly (I got them both around the same time). It was signed with what apears to be a black marker. The man who got it for me ordered it from Diamond. In fact, I don't remember if Marvel ever did any other projects under the name of "Marvel Limited". If I am wrong on this, somebody let me know of any other projects done under the "Marvel Limited" banner...for curiosity's sake. And before anyone asks, the FUTURE IMPERFECT hardcover is NOT for sale. That baby WAS signed to me personally by Peter David. However, I'll have some other cool stuff on here in the next week or three. I needs me sum edjication munny...and I would rather try and sell it here than Ech-Bay so the REAL Perez fans will have first chance at it. Someone asked me about this poster. This is a great poster, by the way. I remember buying the poster at Neil's Comics & Cards in Fresno, California. The poster feature every Avengers members (including honorary status) as of that year, with the exception of Moria Brandon. The best part of poster is all of the Wasp's costumes made the border of the poster, George obviously did a lot of research (or had someone did it for him). In an interview with George Perez, WIZARD: THE COMICS MAGAZINE #35 also published this poster in their magazine. The poster was published by (the now defunct?) Marvel Press, and is poster #148.